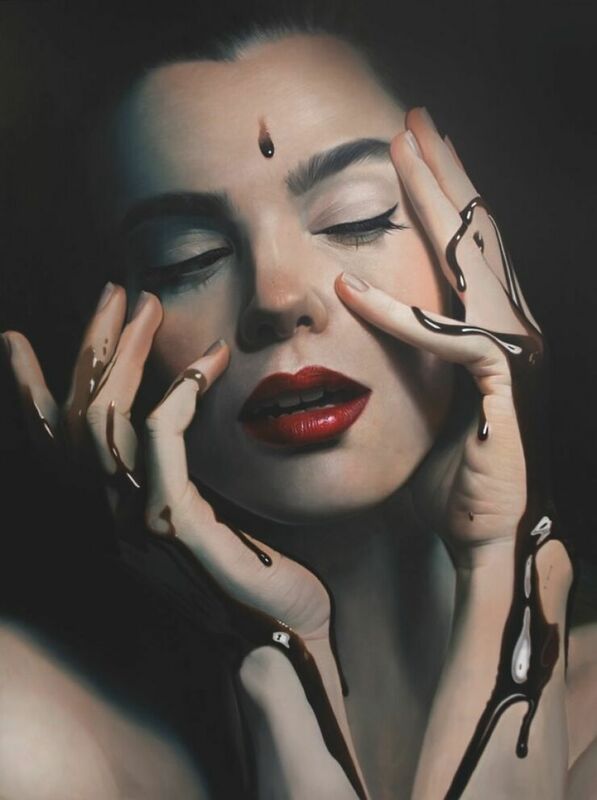 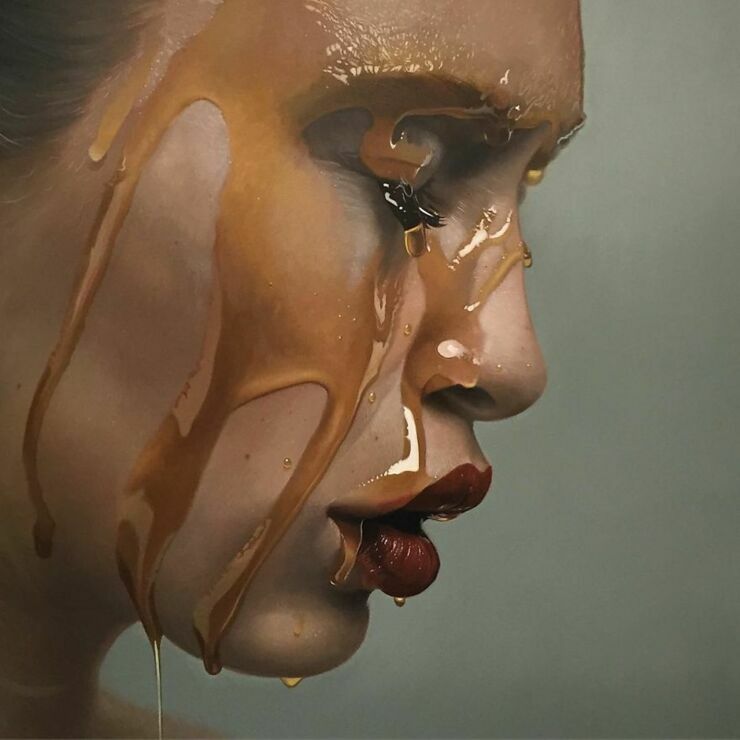 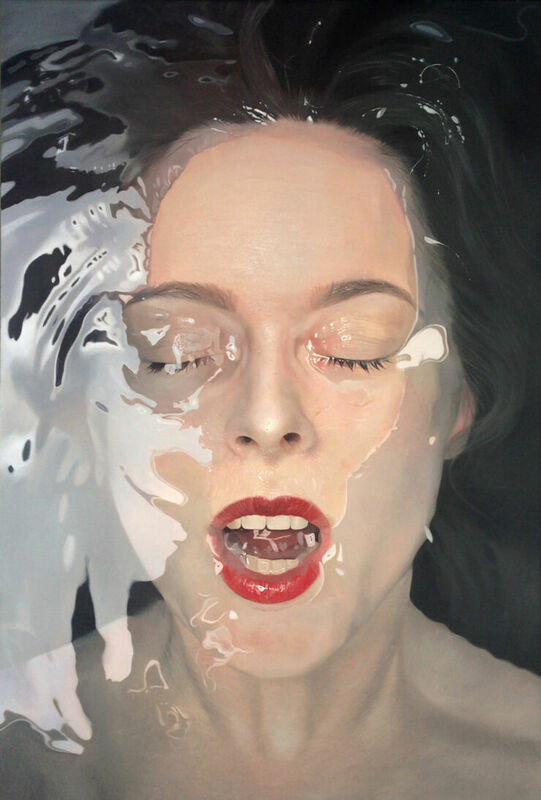 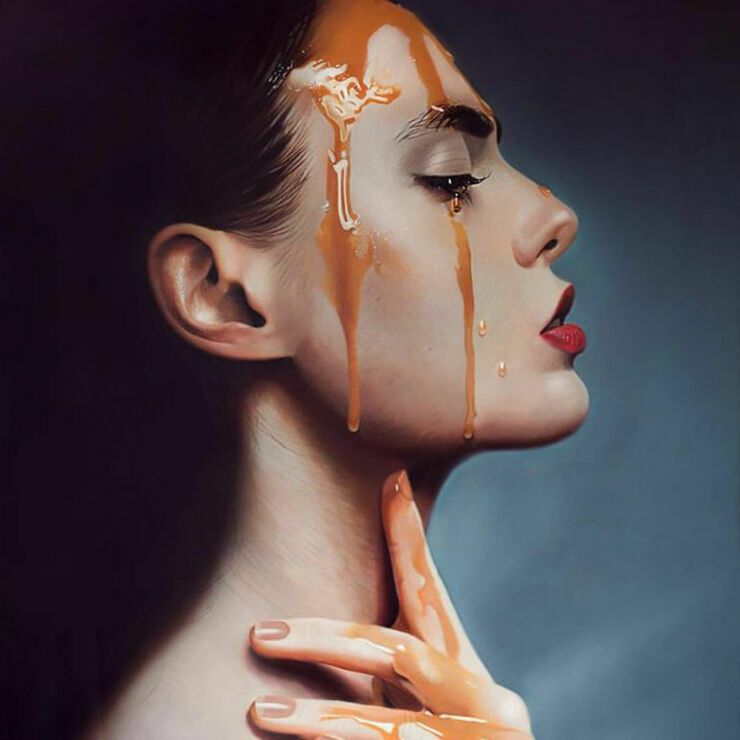 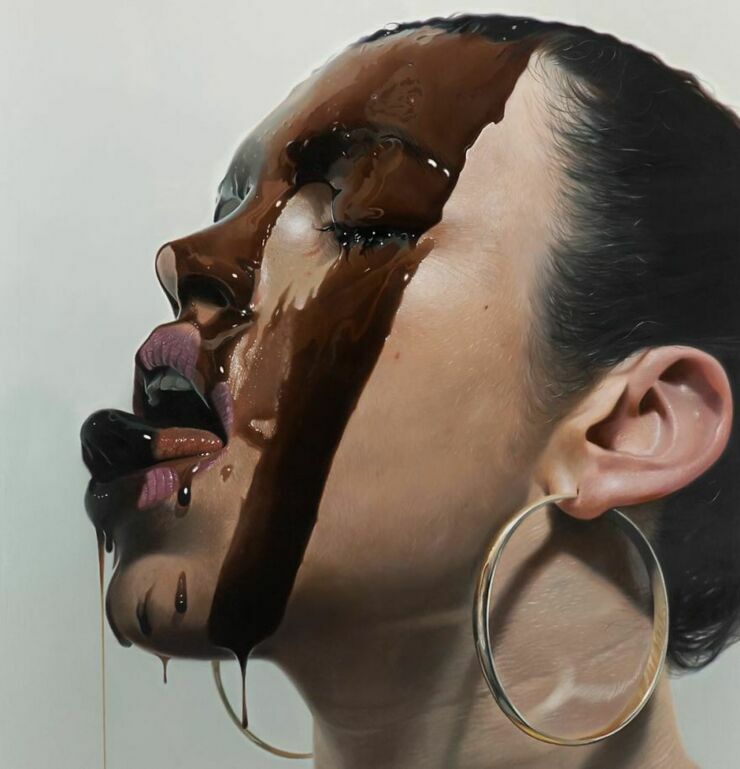 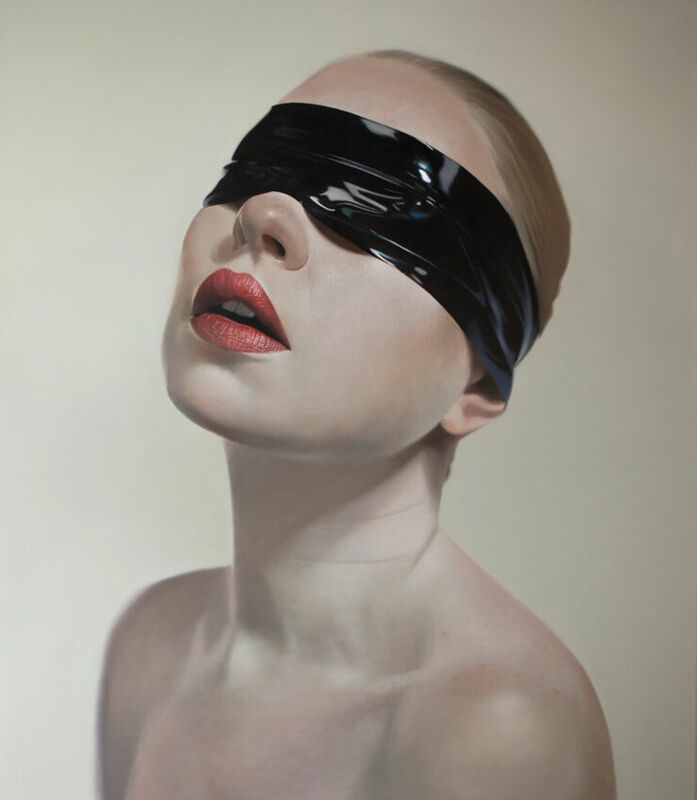 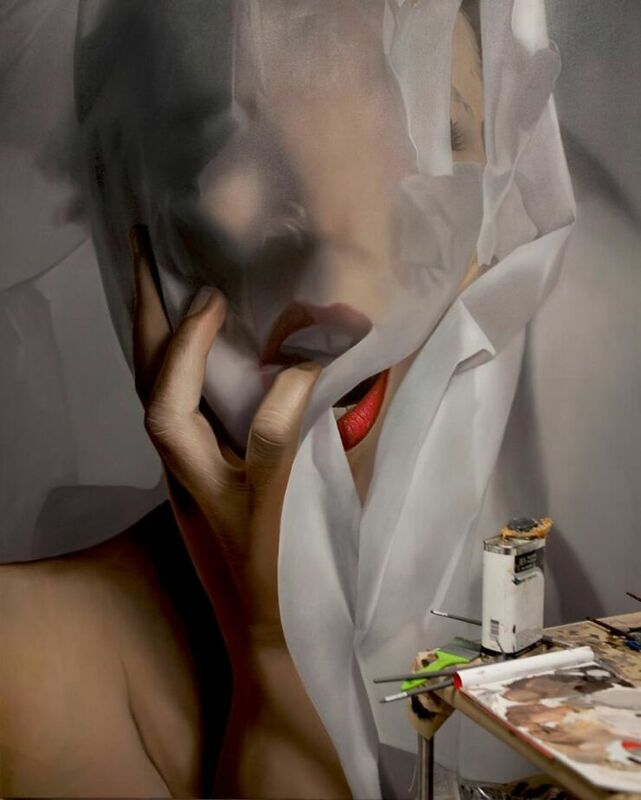 Take a quick glance at the work of Mike Dargas and you will no doubt think you just looked at a photo. 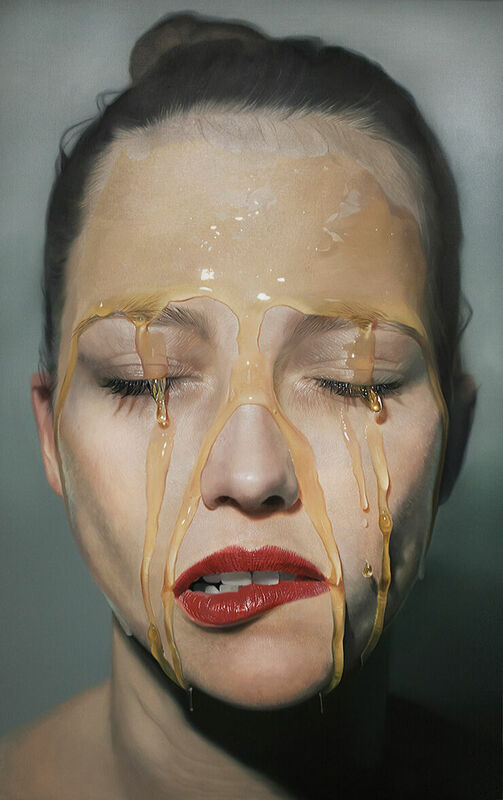 That's probably because Dargas creates hyperrealist paintings of incredible detail, richness, and intricacy. 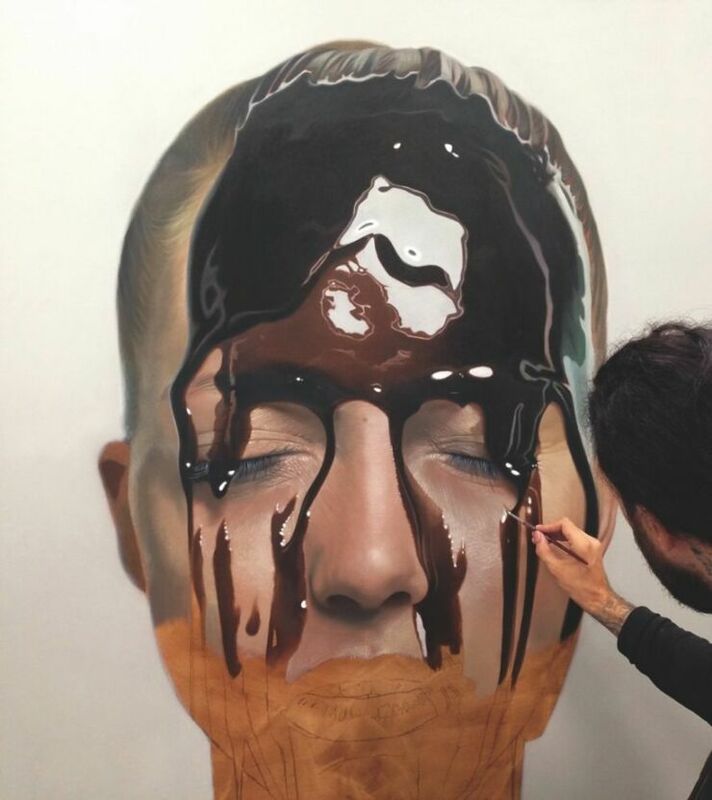 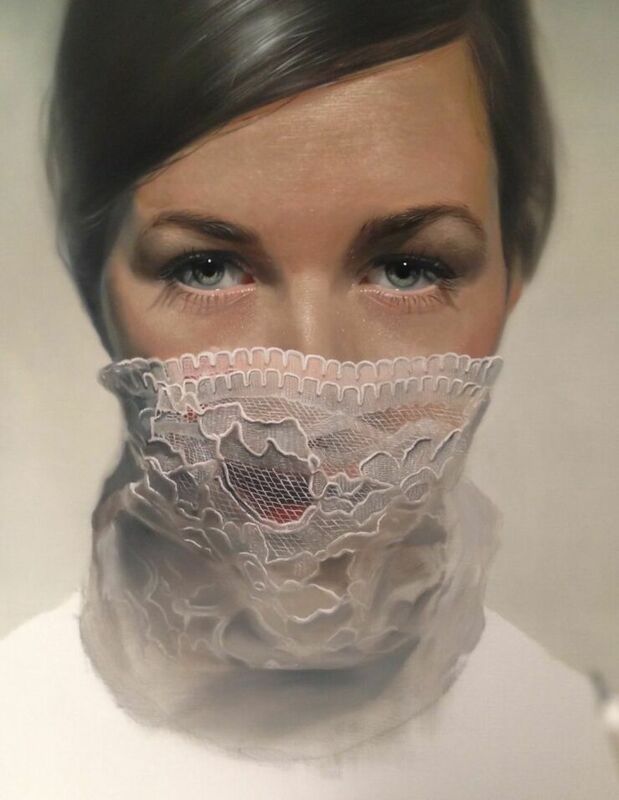 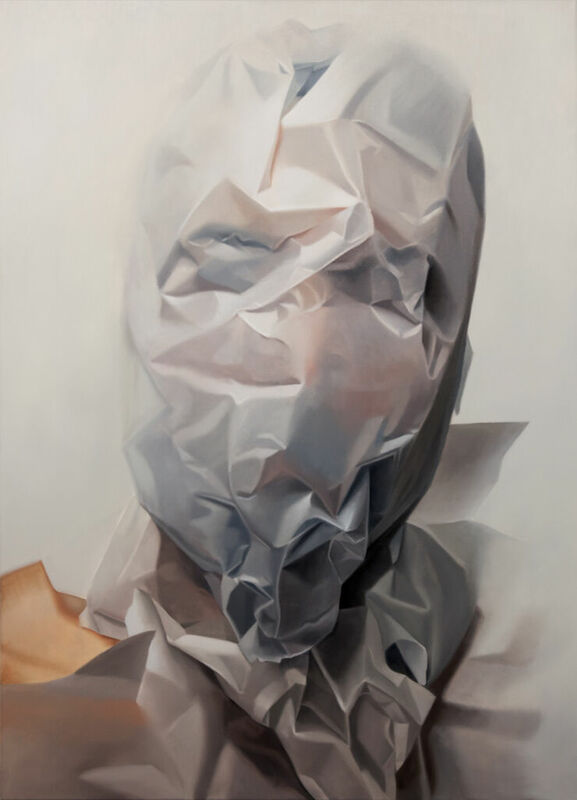 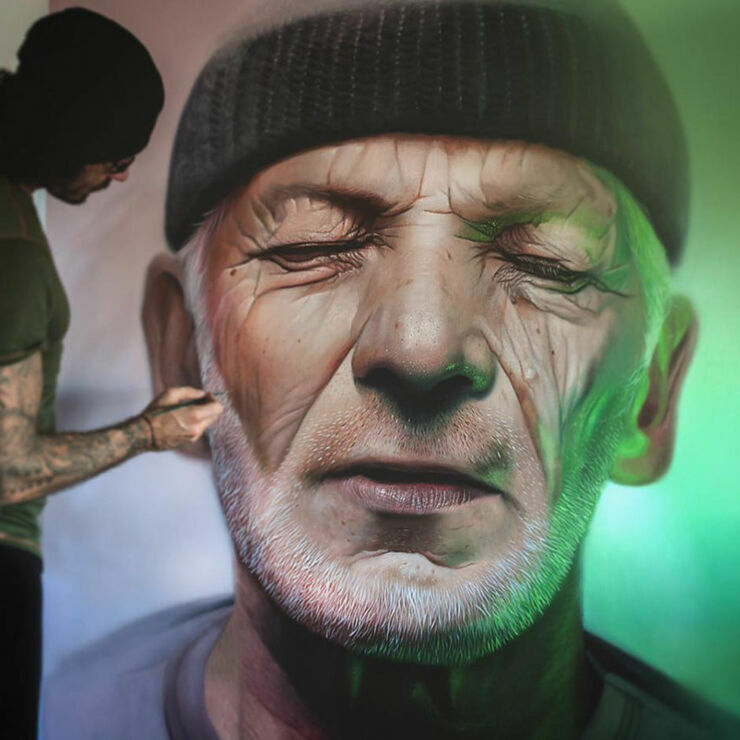 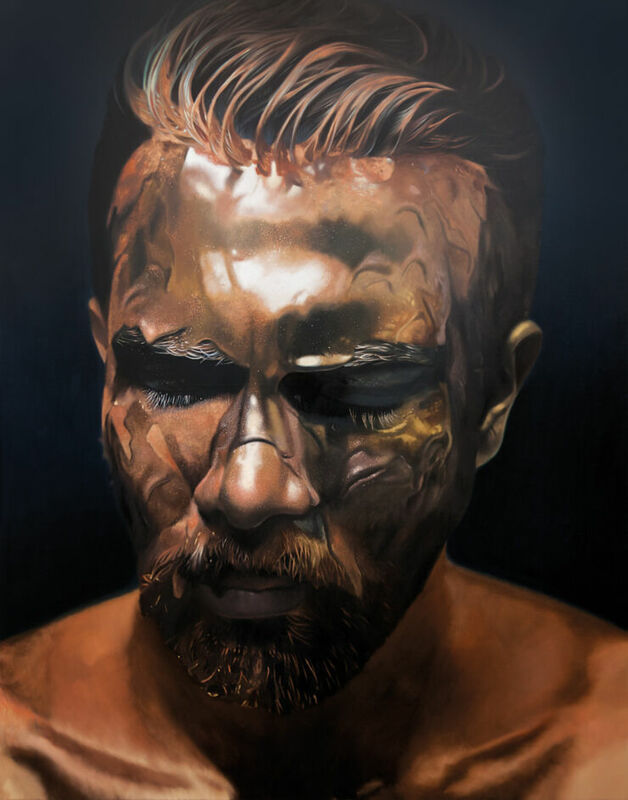 Painting in oil the German artist, originally from in Cologne, creates mainly portraiture in the 'trompe l'oeil' style to create an optical illusion of depth and they're on large canvases too, meaning they create quite an impact. 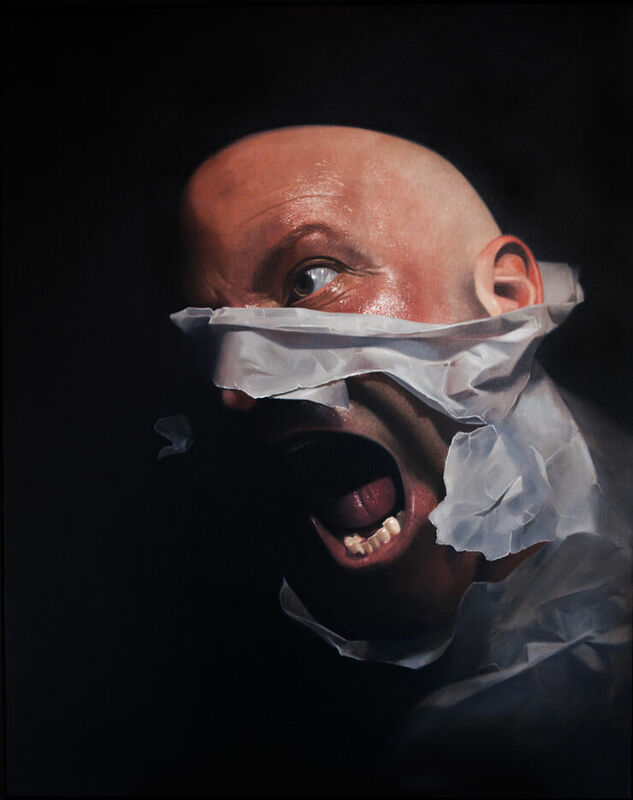 Dargas used to be a tattoo artist, having sketched and painted since he was very young. 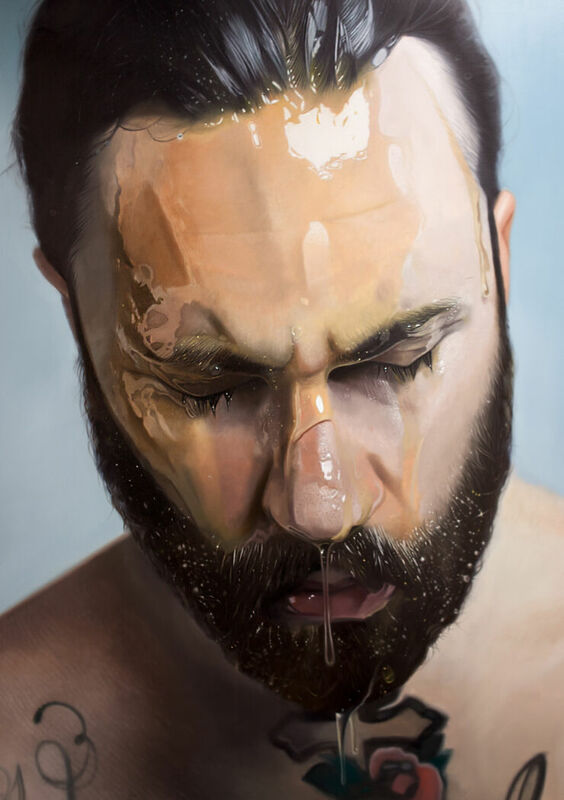 As such a lot of his work explores the idea of something covering or coating skin, be a viscous liquid, blindfold, or sheet. 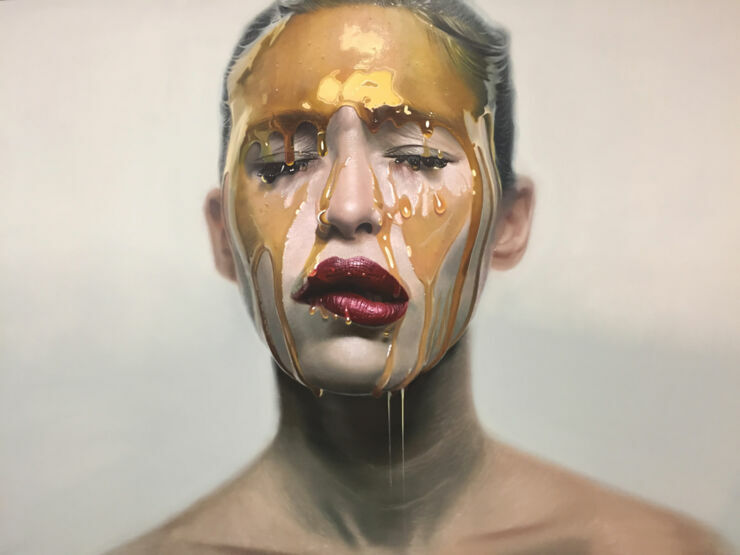 Dargas' stunning work was discovered in a very modern way, coming to the attention of the art world via Instagram which has become a great way for galleries and collectors to discover new work. 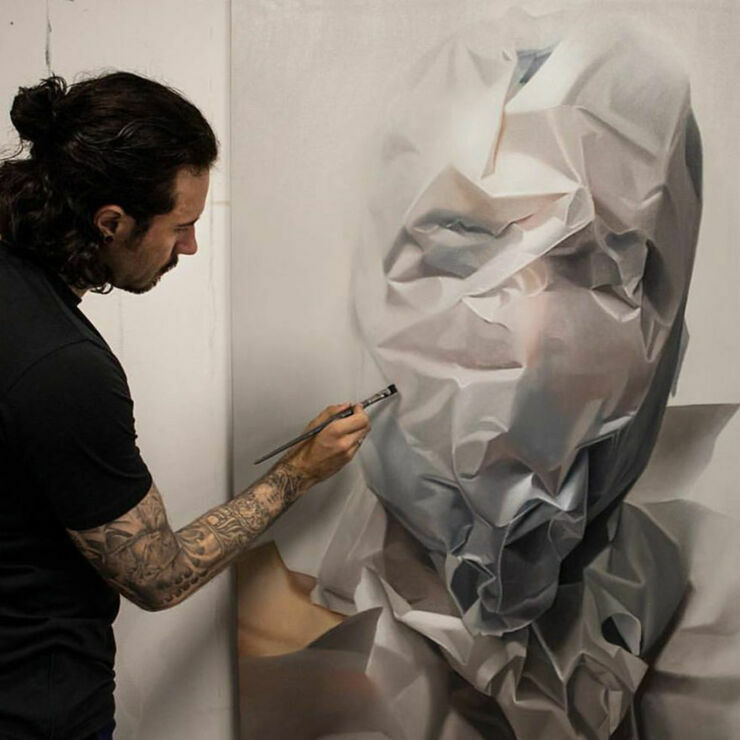 Curator Jean-David Malat, who discovered Dargas, told GQ the following about what a great platform it is. 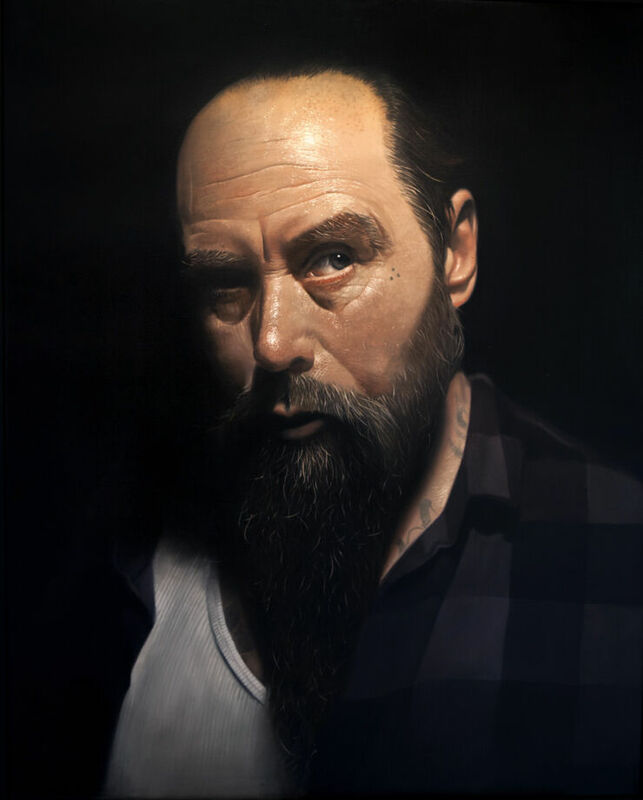 “There is no one way to discover a new artist… I’ve been an art dealer for more than ten years now and I have never seen an artist and a painter with such a technique like his. 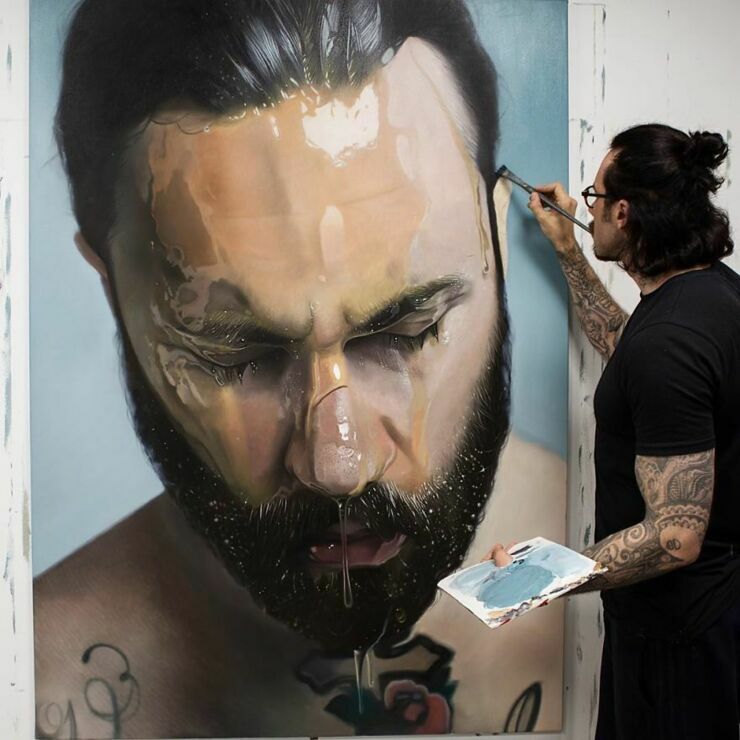 It was very interesting to discover him on Instagram, and I think all these new [forms of] social media are amazing for artists, for art dealers, to promote artists and discover talent. 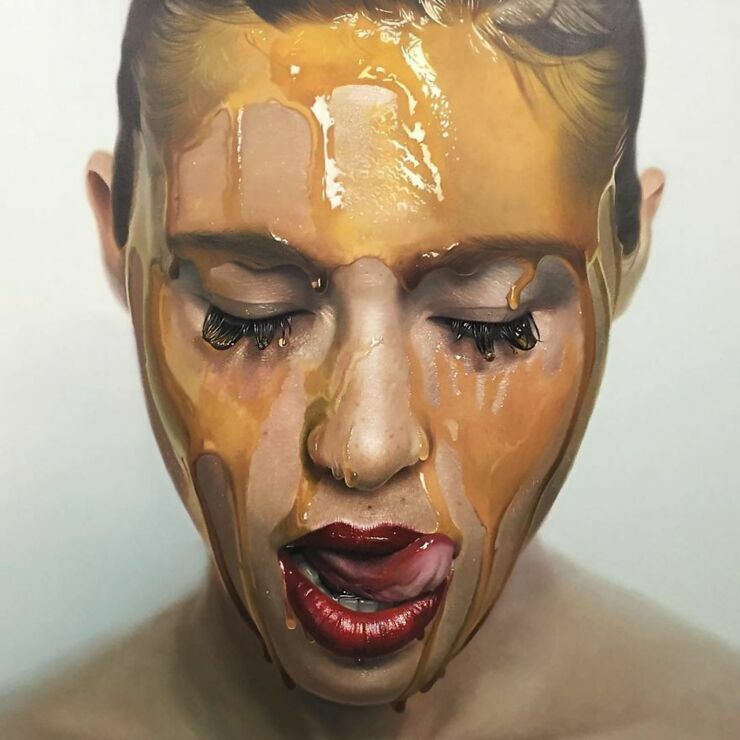 It’s very important for any artist to be on [Instagram], because collectors are on Instagram, students, young artists." 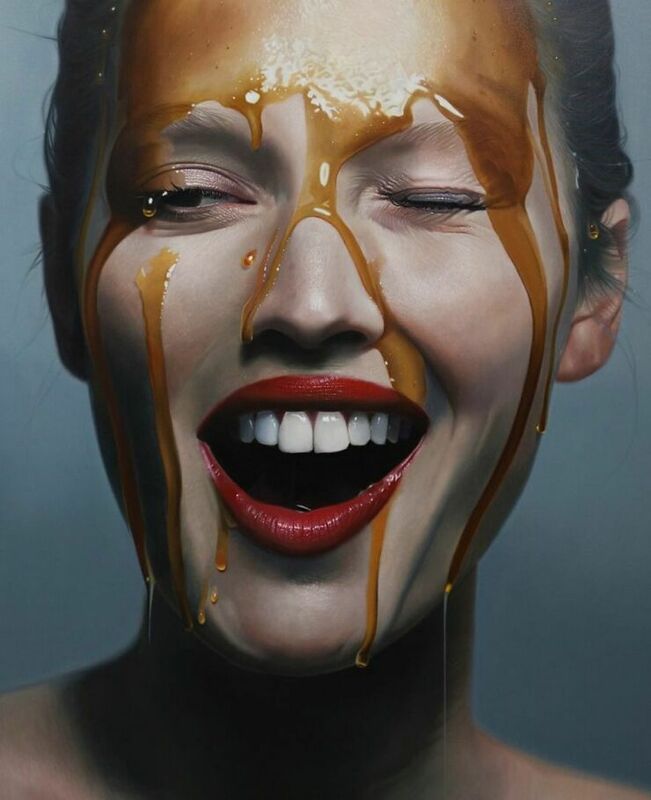 In a recent series of paintings (see the video above and photos below) his muse is former Victoria’s Secret model and fellow German Toni Garrn, drizzled in one of Dargas’ most recognizable motifs – an enigmatic viscous substance, which could be anything from honey to motor oil. 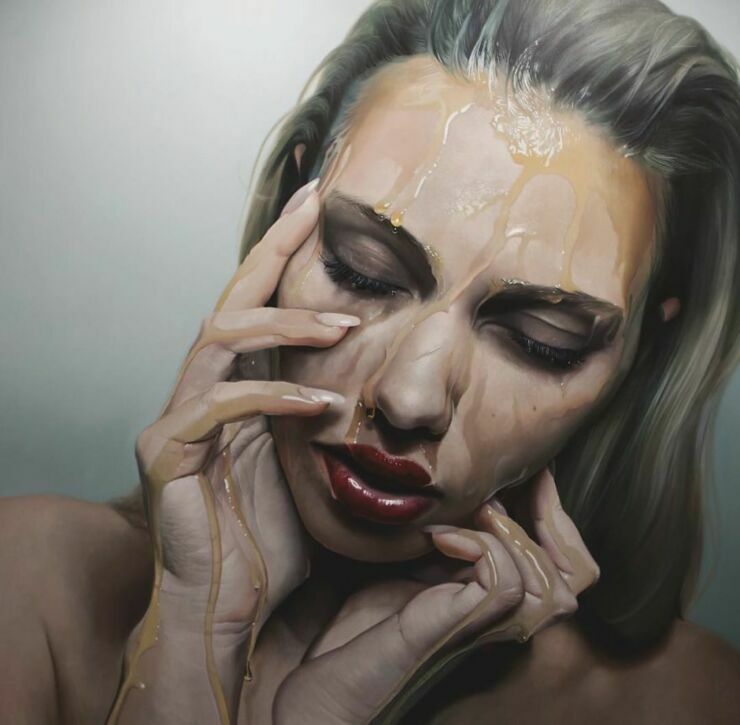 It's a stunning set of portraits. 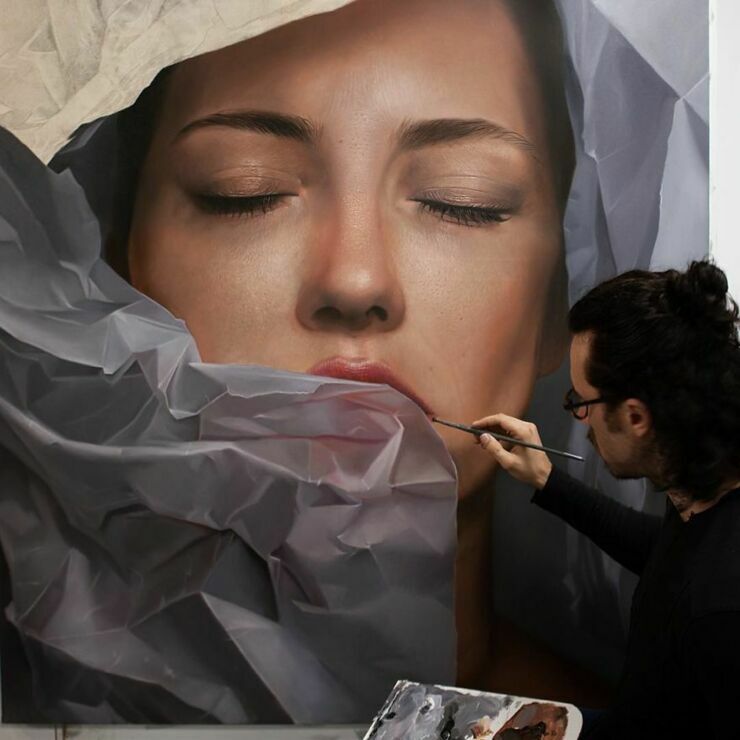 Check out some of Dargas' stunning work below. 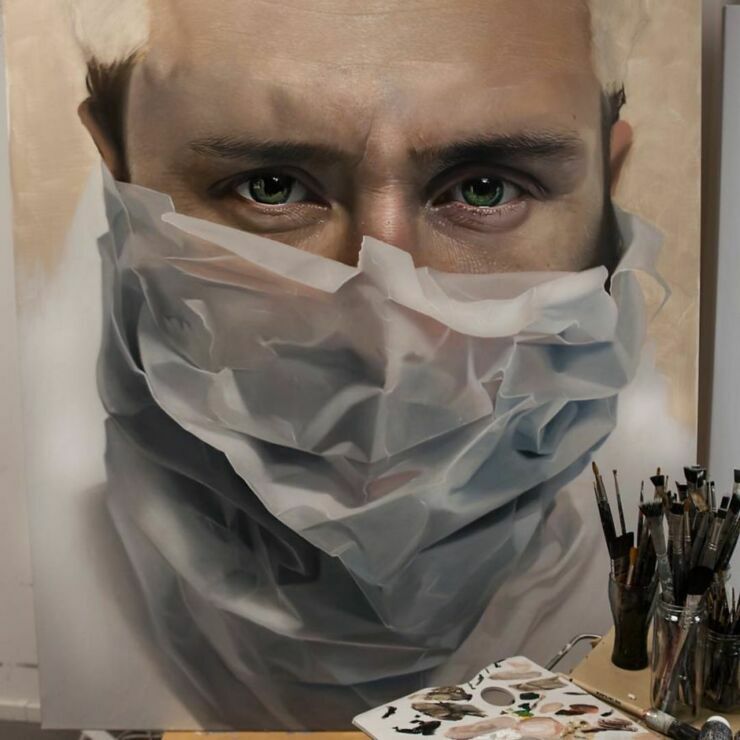 Head to his Instagram or website to see more.